Welcome to our stop on Dystopian Giveaway Hop hosted by My Shelf Confessions & I Am A Reader, Not A Writer. 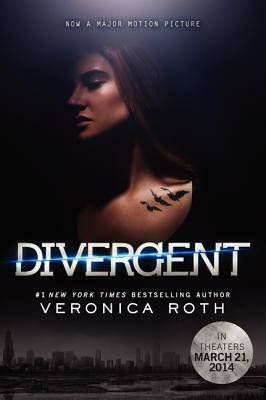 I decided to giveaway a movie tie in copy of Divergent. The book AND the movie are all kind of amazeballs! I mean, Theo James (Four) is HOT, so could I not love the movie! That is not the only reason why I love this book though, although Theo definitely helps, but Divergent was my first dystopian reads and it has been one of my all time favorite books. I am not a fan of Alegiant, but that's another story that we shall leave for another time. I love both Divergent and Delirium. They are such amazing reads, and I couldn't put them down. Yesterday's Gone by Sean Platt and David Wright! My favorite series right now is Cronin's Passage series! The Hunger Games are on the top of my list. My favorite dystopian book is Utopia by Thomas More, Paul Turner. My favorite dystopian series will always be The Hunger Games. I know it may seem cliche but, The Hunger Games was what got me out of my reading slump from my elementary and middle school days. The Hunger Games is one of my faves, followed by Marie Lu's Legend series. The Testing was one I loved to read. Many other great ones too though! I haven't really read that many yet. I enjoyed the film adaptations of The Hunger Games/Catching Fire and Divergent and would like to read the books. I loved the Uglies series! My favorite series is the Hunger Games, but I still have yet to read Divergent series and Matched series. I liked the Hunger Games series.